﻿ Will a mouse in the attic have babies? Will a mouse in the attic have babies? Like all other rodents and in general mammals, mice have the capability of reproducing. One characteristic of determining whether a living thing is actually ‘living’ is if they actually reproduce. Reproduction is the process whereby living organisms give life to offspring, usually after a period of time. The offspring usually develop inside the organism and are expelled from the body in a process called reproduction. House mice are usually referred to as so because they are usually found in the house. Their common dwelling areas are usually in houses and specifically in attics. They create holes that they use to get through to the attic. These are the entry and exit points. Mice usually chew through anything because they have front sharp incisors that are very instrumental to them. To hide from other animals which the mouse might consider as a predator. One of the most important attributes of an animal is ability to survive and adapt. The mouse therefore must find a way to survive and the attic provides the perfect spot for this. To keep food. The food that mice steal or get from areas of the house they store in the attic where they can always come back to eat them The attic is dark. Mice love dark places. Some of them have fur that has dark pigments therefore conducive for them to camouflage or hide using the darkness to their advantage. Another reason why mice stay in the attic is that they need the warm, dark and hidden nature of the attic to help their offspring stay safe, warm and develop without interruptions. This is actually the main reason why mice prefer the attic. So, the answer to the question whether a house mouse in the attic will have a nest of babies is YES. The attic is very important for a mouse that has babies. The mice usually create a nest where the babies lay and feed until they are mature enough to look for their own food. 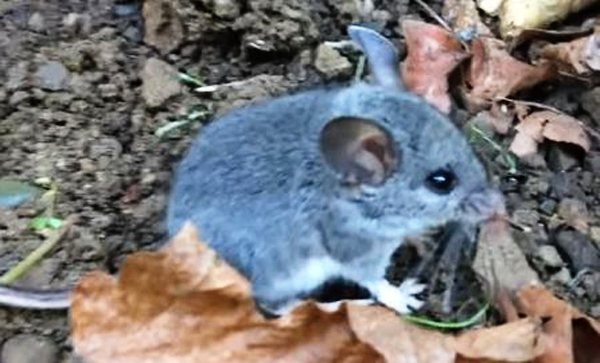 When a mouse gives birth to offspring, they need to be kept safe away from predators that might eat the babies, or chase away the parent and leave the babies to starve. This is why the attic is the best place for the nest because not many animals that are predators to mice come to the attic. The attic is usually closed even the cat cannot get through. The babies also need heat that is provided by the warm temperature of the attic. Development without interruption is also another reason why tic is the best place for the mouse to keep its nest. Go back to the How to get rid of mice home page.